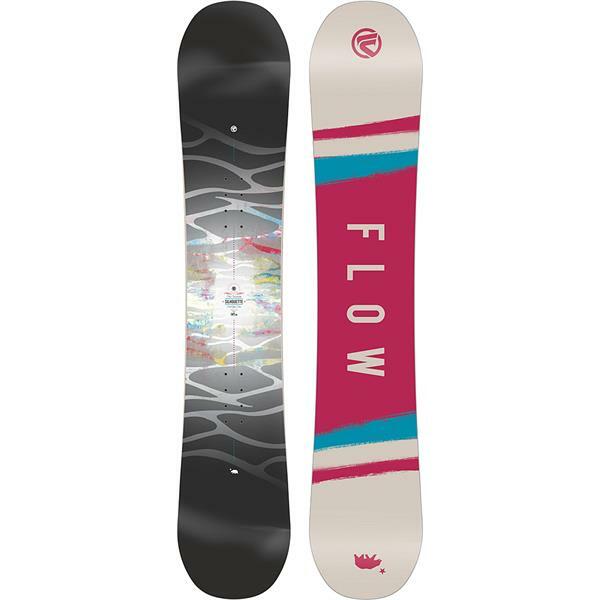 Beat last year's number of days on the mountain this year while you are riding the Flow Silhouette Women's Snowboard. The Flow Silhouette is a women's snowboard designed for all mountain riding this season. Featuring a twin shape makes the Silhouette a great board for carving throughout the mountainside and hitting up the groomers while having a good edge grasp to control the board. The Silhouette features flat-rock rocker profile which is a mellow rocker on the tip and tail while remaining flat in the center of the board. This profile allows your edges to be closer to the ground for more edge hold while still providing you a floaty fun ride. The soft flex of this board is amazing for beginners looking to get a good grasp of the sport. Made with an extruded base that will withstand a small beating, it is low maintenance. This winter, get on the slopes riding the smooth, fun and easy Flow Silhouette Women's Snowboard. I wear women size 7. What size bindings do I buy? BEST ANSWER: It depends on the brand. Each brand has specific size recommendations. Generally size 7 women's boots fit into most medium women's bindings.